Ships today if you order in the next 4 hours 49 minutes. Acidophilus is the name of a group of probiotics, which includes Lactobacillus acidophilus, Lactobacillus bulgaricus, Lactobacillus casei, the Bifidobacterium species and Strptococcus thermophilus. They are known for aiding in the digestion process. 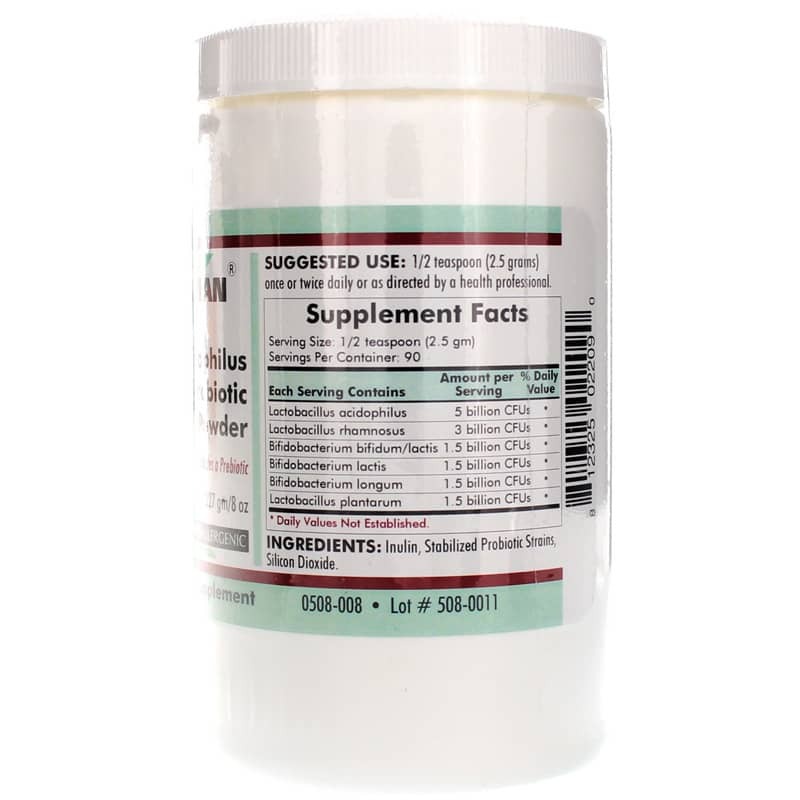 People take acidophilus probiotics to support the beneficial flora in their intestines. 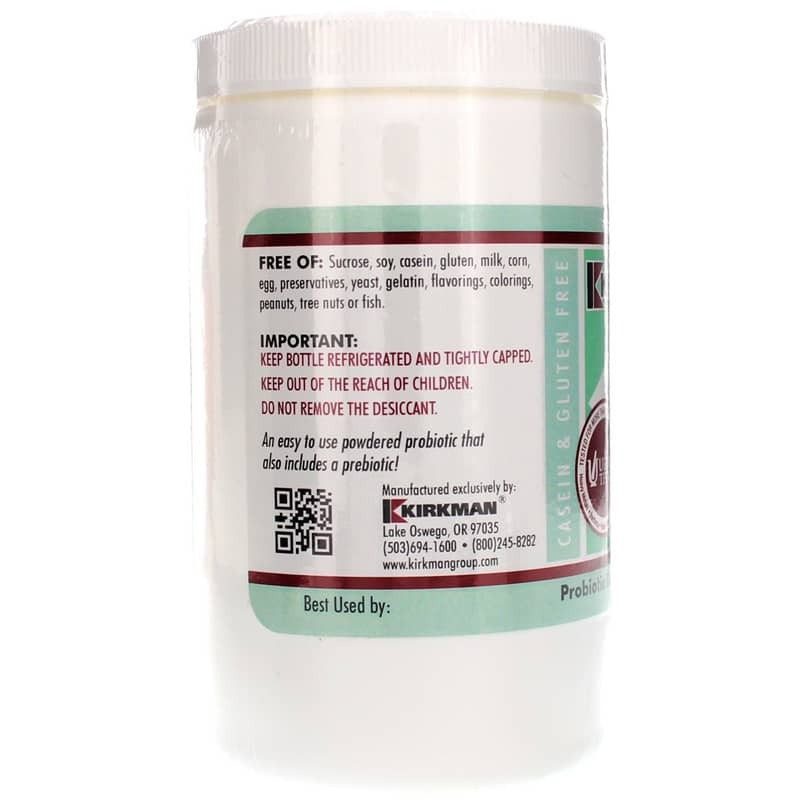 Kirkman offers a hypoallergenic, probiotic dietary supplement called Acidophilus Probiotic Powder that seeks to support gastrointestinal system health. This formula combines the following strains: lacto acidophilus, lacto rhamnosus, bifido bifidum/lactis, bifido lactis, bifido longum and lacto plantarum. It is free of soy, sucrose, gluten, casein, corn, egg, milk, fish, tree nuts, peanuts, preservatives, flavorings and colorings. 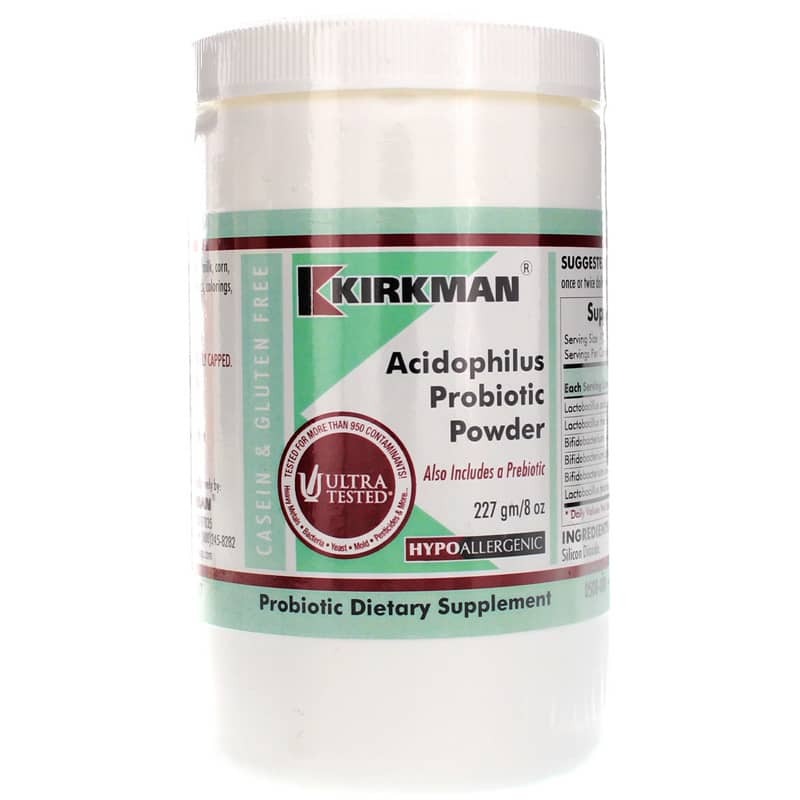 The powder can be mixed with food or drink at temperatures under 70 degrees F.
If you're looking for a hypoallergenic, probiotic dietary supplement that provides 14 billion CFUs of acidophilus per serving to support GI system health, check into Kirkman's Acidophilus Probiotic Powder. Order online today! Ingredients: Inulin, Stabilized Probiotic Strains, Silicon Dioxide. Contains NO: Sucrose, soy, casein, gluten, milk, corn, egg, yeast, gelatin, artificial flavorings, artificial colorings, peanuts, tree nuts or fish. Adults: 1/2 teaspoon (2.5 grams) once or twice daily or as directed by a physician.